Exclusive to CosMediTour at Samitivej Chinatown Hospital, Dr. Kamolwan is one of Thailand’s rising stars in Plastic and Reconstructive Surgery. 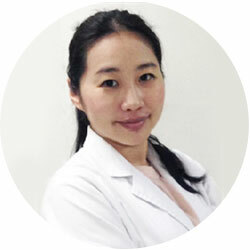 Dr. Kamolwan has operated alongside Dr Pornthep for 4 years as one of his Assistant Plastic Surgeons and has used the additional mentorship to help refine her specialist techniques. Having both assisted and performed hundreds of surgery cases since 2014 Dr. Kamolwan’s experience ranges from simple procedures to complex plastic surgery cases. Dr Kamolwan’s passion is in breast and body contouring surgery procedures, especially Breast Lift and Augmentation procedures as well as Tummy Tuck surgeries. 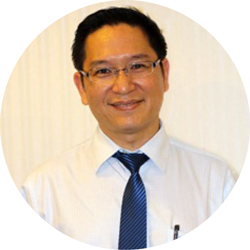 Dr. Kamolwan also spends time working as a volunteer Plastic Surgeon at the Thai Red Cross Society and Operation Smile Thailand. Due to popularity, Dr. Kamolwan has limited surgery dates available. ENQUIRE NOW for more info or get a FREE ASSESSMENT to start your surgery journey.